Invented in the 16th century, fondant has long been renowned as a frosting for its versatility and pliability. Unlike other frostings, fondant may be stored for long periods of time. Its texture lends itself easily to molding and shaping. 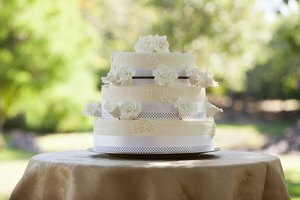 Cake makers prefer to use fondant as a base frosting for any elaborately decorated cakes, such as wedding cakes, as it provides a smooth foundation on which to build. Today, bakers usually combine fondant frosting with piped frostings and other decorations, using royal icing to "glue" fondant into the shapes they desire. Early fondants were made with rosewater, sugar, lemon juice, egg white and gum paste. Fondant gains its pliability from its chemical composition -- unlike other types of frosting, it is basically a sugar-water paste and contains no butter. 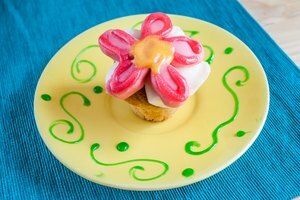 The word "fondant" comes from the French word "fondre," which means "to melt." Likely this term was applied because fondant tends to melt in the mouth. 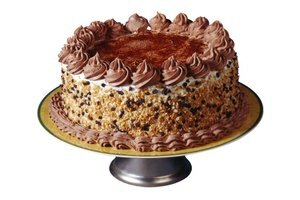 Early fondants first found popularity as candies, only later being adapted into a cake icing. Fondant icing did not achieve much popularity until the early 20th century, perhaps due to the prohibitively high cost of white sugar before that time. Unlike modern fondant icings, early fondant was not chilled and then applied to cakes. Rather, small cakes were dipped in warm fondant and allowed to set. Because fondant icing has such a strong, sugary taste, flavorings were often added to it. These included chocolate, almond extract and citric acid. Some bakers also would ameliorate the sugary taste of fondant by beating marshmallows or other types of frosting into it. Small fondant-dipped cakes were sometimes used to decorate larger cakes. Rolled fondant icings evolved in the 1950s. Instead of dipping cakes in warm fondant, bakers worked the fondant until it attained a creamy color and consistency. After allowing the fondant to cool, they rolled it into smooth sheets and applied it to cakes. Only sturdier cakes, such as pound cake, can be used in conjunction with fondant icing, as lighter cakes lack the structural integrity to bear up under the fondant's weight. Modern fondant icings may be colored, dusted with edible sparkling powder, stamped with designs or cut into decorative shapes. Some bakers choose to mold fondant into figures, painting details onto them with dipping chocolate or colored syrups. 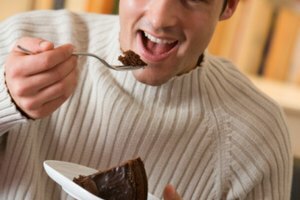 Due to the increase of baking and cake-related television shows, fondant cakes enjoy more popularity today than ever before. 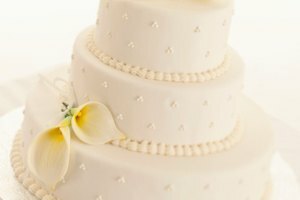 Such programs as "Cake Boss," "Ace of Cakes" and "The Martha Stewart Show" frequently feature complicated cake designs that have been made using fondant.